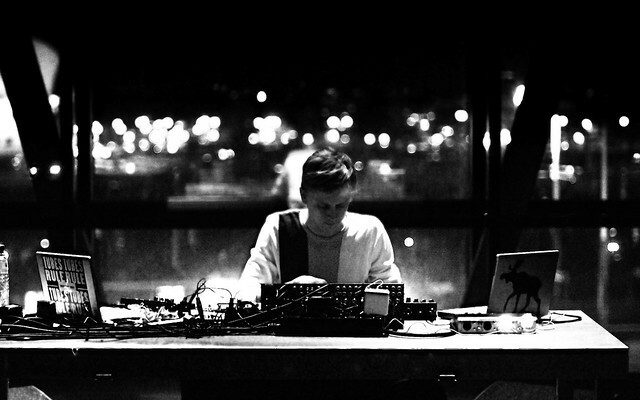 Finnish producer Sasu Ripatti has had many guises over his lengthy career. Vladislav Delay, Lluomo, Sistol & Conoco are just a few of the monikers he has adopted to represent the differing musical approaches he has taken over the years. His latest project however sees the use of his actual surname, Ripatti, as the title to front a new vinyl-only label project, created as an outlet to service his own productions and collaborations. Whilst a few short clips of the debut offering ‘01’ have been uploaded to the fledgling label’s soundcloud, this is really a record that needs listening from start to finish to fully appreciate. The tracks span upwards of ten minutes each - the subtle shifts and developments that take place throughout them being central to their appeal. A-side offering ‘#39’ has most in common with perhaps Ripatti’s most regularly-used project, Vladislav Delay. Unlike most of the Vladislav Delay output however, ‘#39’ is surprisingly DJ friendly. The tracks drafty melodic elements come with their own distinct rhythm, adding an extra layer of groove to Ripatti’s skippy, shuffling drums and metallic hi-end percussion. On the flip, ‘#24’ takes a refreshingly different approach. Its closest qualifier is probably Drum & Bass, although attempting to bracket such an idiosyncratic, leftfield track as such clearly wouldn’t do it justice. Mangled, fax machine style beeps and bleeps spill out over frantically paced breakbeat rhythms, interspersed with what sounds like heavily processed vocal samples. There is a sense of tension throughout the entire track, and as it progresses the various elements showcased individually in different sections are slowly interlaced with each other. As the first impression made to the label, 01 is a strong debut, not least for the fact that it shows yet another side to Sasu Ripatti, rather than simply acting as an outlet for his other existing projects. This gives the sense that the imprint is capable of becoming an acclaimed entity in its own right, distinct from the genre-challenging artist’s already incredibly diverse existing catalogue.